A friend of mine is one lucky sonova… well… he’s a lucky guy. For one, he works for The Creative Assembly (the guys behind the epic Total War series)… a job which I’m immensely jealous of. Secondly, he got to munch on something truly epic today that got sent to the CA offices; An Alien: Isolation Easter egg, sitting atop a chocolate-covered cake. Coolest. Easter egg. Ever. There is so much want, I really can’t express it properly! A promotional creation by the chocolate-manipulating geniuses at Choccywoccydoodah, the egg is solid chocolate based on the facehugger eggs in Ridley Scott’s Alien. The cake puts the overall height at 25″, looking about 1/3 scale compared to it’s movie counterparts. 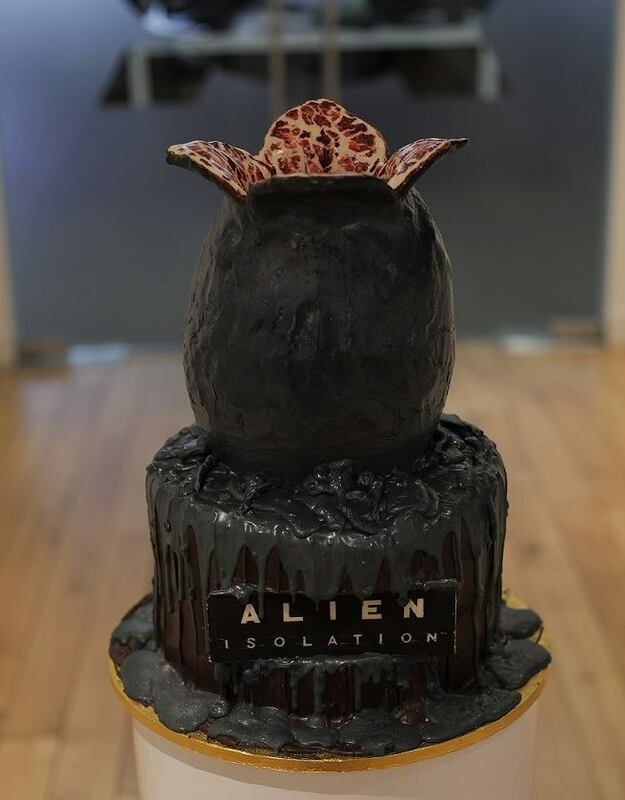 The Alien: Isolation Facebook page posted a gallery of images of the delectable creation, and made sure to mention that they’d be preserving the egg… however the cake was not so fortunate. It’s one thing having a cool job, but it’s another getting cool stuff like this! I’m only a little bit jealous! After expressing my envy my friend retorted with “You could say it was egg…cellent?”. Touché, my compadre. Touché.